I've doing a bit of online "window shopping" lately (for dresses, I can't help myself), and I thought I'd share some of my favorites! I do a lot of online window shopping, too ;) Beautiful picks! I'm in love with the polka dot and lace one , absolutely stunning......now to get the figure that they will look good on. Chantal, put that chocolate bar down NOW! I love the yellow one from Anthropologie. It would look adorable on you. I have a little dress obsession myself. I love all of these too! 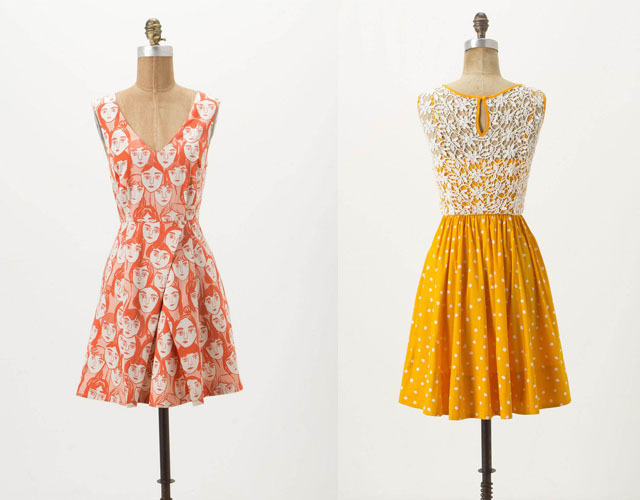 The yellow modcloth one totally looks like you! The top two are so good I can't even stand it! I need them both! So much pretty. 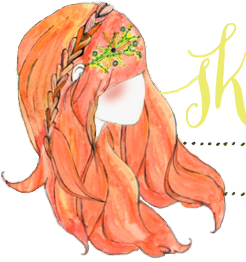 I just started following your blog, and it is has became one of my favorites. 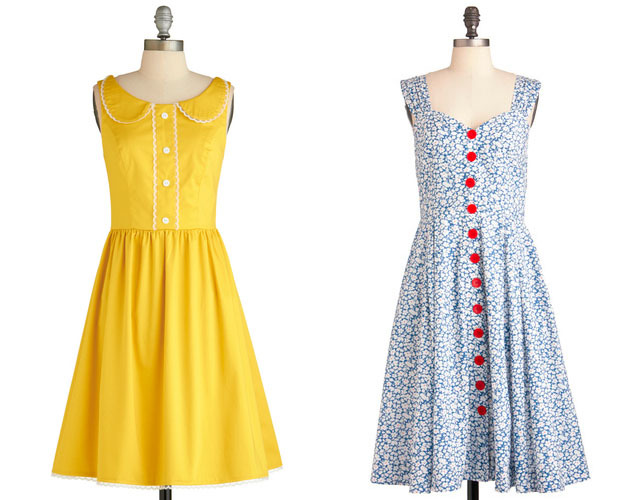 I actually thought of you when I saw that yellow modcloth one. So perfect and sunshiny. Ooooh! You've picked the most beautiful dresses. They're all gorgeous! I made a blog a couple of months ago too.I would really appreciate it if you could check it out and follow if you like it. The Orange Face dress designed by Leah Goren has been on my want list for many weeks now! unfortunately it's winter in Australia and way too cold to justify buying it! Now that yellow dress is on my want list too!! I would not be able to choose! they are all so cute I think I would want them all. These are so cute! I love the ASOS dresses. I would wear any of these, amazing choices! Hope you're having a great day! all of these are so cute! i want them all! Beautiful dresses. I want them too! Ooo I hope you do an outfit post with the Yellow one!